Hosted by the JCU Athletics Department, the Gladiators Night kicked off the new season with the new logo reveal, and varsity teams presentations. A History major from California, Katelynn Cunningham transferred to John Cabot University in Fall 2016. In October 2017, Katelynn was one of three JCU students who were honored at the Italian Parliament by the Italy-USA Foundation. A member of the Lady Gladiators soccer team, Katelynn was voted Most Valuable Player during the 2016-2017 season. John Cabot University alumnus Renzo Agresta (Class of 2008) represents Brazil in the category of Men's Sabre Individual Fencing at the Rio 2016 Olympics. Welcome to the Spring 2016 Semester at John Cabot University! 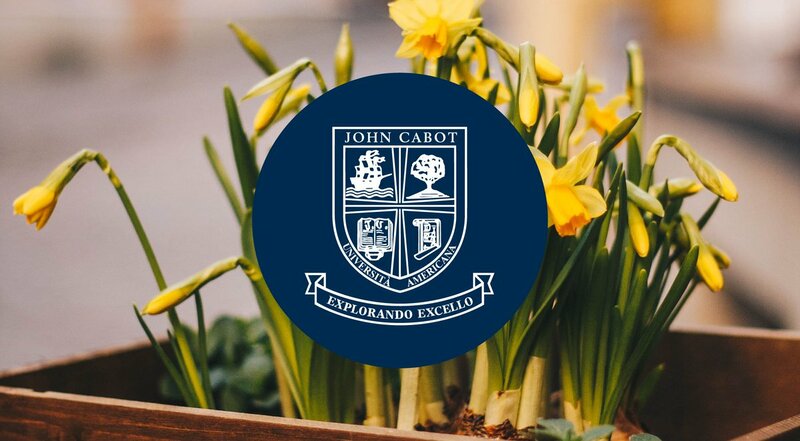 The John Cabot University community is pleased to welcome our new and returning degree-Welcome to Spring 2016 at JCUseeking and study abroad students to campus this spring. Welcome to Fall 2015 at John Cabot University! The John Cabot University community is pleased to welcome our new and returning degree-seeking and study abroad students to campus this Fall. JCU staff and Orientation Leaders are happy to answer questions and provide information about the University and the city of Rome. The John Cabot University community is pleased to welcome students to Summer Session I 2015. JCU is committed to facilitating new Study Abroad and Degree Seeking students’ transition to campus life and the city of Rome. On April 29, the JCU Lady Gladiators took home the Roman Universities League championship trophy in a 5-4 victory over Foro Italico. JCU is committed to facilitate the new Study Abroad and Degree Seeking students' transition to Campus life and the city of Rome.